Small business owners invest a lot of time and money in the success of their companies. Unfortunately, small businesses are at significant risk when it comes to crime and property loss. There is the risk for shoplifting, burglary, vandalism and more. These types of crimes cost US businesses billions of dollars every year and much of it can be prevented. If you want to protect your small business from crime, you need to pay special attention to your security practices. In this post, we are going to provide small business owners with a few practical tips that can help prevent crime and protect them against loss. Most business owners do not spend much time thinking about the quality of their doors and windows. As long as they shut and lock, they think the doors and windows provide adequate security. As a small business owner, you should not settle for just having standard doors and windows. You want to make sure they can effectively protect against break-ins. You should consider installing doors made from reinforced wood or steel. If your doors are made from glass, consider roll-down security gates. You could also consider reinforcing frames with metal plates and reinforced strike boxes. If you have a room where safe or other valuables are stored, you may want to invest in stronger interior doors for these areas. Along with checking the quality of your doors, you also need to inspect your locks. If your locks are of poor quality, they should be replaced. For added security, you should also think about installing smart locks as a measure for improved access control. With smart locks, you have an access control system that can overcome some of the issues that come with having a physical key. Instead of issuing keys that can be copied or stolen, you can give employees unique access codes. When an employee leaves the company, you don’t have to worry about getting the key back; all you have to do is remove their access code from the system. As an additional benefit, smart locks can keep access records so you know who is accessing which door at different times. A lot can go wrong at a business and having a video record of events can go a long way toward protecting your business if a crime occurs. With strategically placed cameras, you can capture important evidence against potential shoplifters, violent criminals, vandals, burglars and employees that may commit crimes against your business. In addition to providing vital evidence in the event of a crime, CCTV cameras offer a considerable value because they are one of the most effective crime deterrents. When criminals see cameras, they recognize the additional risk of being caught and this will often cause them to think twice. Most businesses have valuable assets that can be attractive targets for criminals. When it comes to cash and other valuables, you want to do what you can to protect these items and make them less of a security threat to your business. For cash, you just want to think of many of your practices when it comes to handling money. 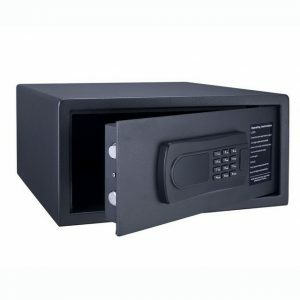 You should only count money in secure areas and only allow access to trusted personnel. If you have a safe, it should be kept somewhere secure and the combination should only be shared with trusted individuals. When you consider expensive equipment or high-value inventory, you need to think about how you store these items. When the day’s business is done, make sure they can be locked in a secure area. If you have anything of exceptional value, make sure it cannot be seen from the windows when the business is closed. Poorly lit exteriors can be an invitation to crime. 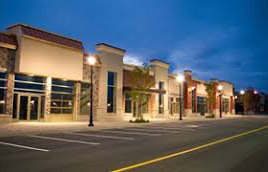 Many businesses have poor lighting on the sides or near the back of the structure and this can increase the risk of different types of crimes. Consider adding lights in areas that are dark and make sure your side and back exits are well lit. Additionally, you want to make sure your parking area has good lighting to prevent crime. One good option is to consider installing motion lights for areas that do not see a lot of traffic. With lights that are motion activated, you can ensure that the area has the light it needs when it needs it, but you do not have to spend extra money lighting the area when it is not in use. You could also consider installing smart lights on the interior. Smart lights can mimic the activity of an occupied structure and this will give burglars the impression that there are people there when the building is empty. As a business owner, you should develop a protocol for when the business closes at the end of the day. If you set a specific routine for closing time, you are less likely to forget important security measures when you leave. Develop this plan and teach it to any employee that may need to close the structure up for the night. A good security protocol could include a number of different things. Your nightly security protocols should include checking and locking all doors and windows, securing valuable assets, checking different areas of the property for security issues, setting the security alarm and more. Having the right business security system integration can make a significant difference. Even if your business already has a security system, you may want to consider its age. Security system technology has come a long way in the last few years, and there could be significant benefits to upgrading to a smart security system that is customized for the needs of your business. With newer business security systems, everything can be integrated into one system along with automation features to provide a more comprehensive solution for business security. These newer systems can provide intrusion protection, CCTV cameras, access control, fire protection and automation features for things like lights and HVAC all in one program. It’s a more efficient way to manage business security and it provides protection that outperforms the basic security system. Cornerstone Protection is the top company for business security systems in Central Kentucky. We can come out and assess the security concerns of your business to design a customized smart alarm system that is made to meet the needs of your company. Contact us today for a free consultation.